Oy vey, that’s a tough question! 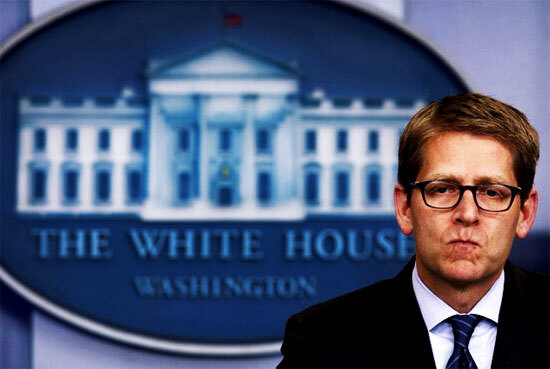 Simply frightening, that Press Secretary Jay Carney, unquestionably is following marching orders from his boss. We have seen Obama's true colors in the past, though veiled regarding Israel. This for me is the entire veil coming off. The whole enchilada. America's President, is not a friend or true ally to Israel. This doesn't mean we won't support them when it comes to war, because we will. There are obligations that even Obama right now cannot change. If this is not quickly, as I suspect it will be, cleaned up and sanitized as they know how to do, and this starts to grow legs...it would not bode well for B.O. Wait a minute, check that, what am I thinking? Absolutely NOTHING sticks to this man. Okay, I take it back. Free pass for Barack. Another "get out of jail free" card. Yes, We The People know. Almighty God knows, and I am not referring to Obama. The one true thing that Jay Carney did manage to say was that Obama’s position of refusing to name Jerusalem as the capital of Israel indeed has not changed. Nor will it. Why, you ask? Because Obama views Jerusalem as the capital of the new Palestinian state he has his heart set on creating. That’s why. Enjoy watching the little weasel attempt to slip and slide his way around the question in the video below. If it wasn’t so sad, it would be funny. “What’s the capital?” the reporter repeated. “You know our position,” Carney said.